It is finally here!!! Our first Preorder Giveaway of the year!!! These will post once a month and will give you the chance to win one of four fantastic titles!!! 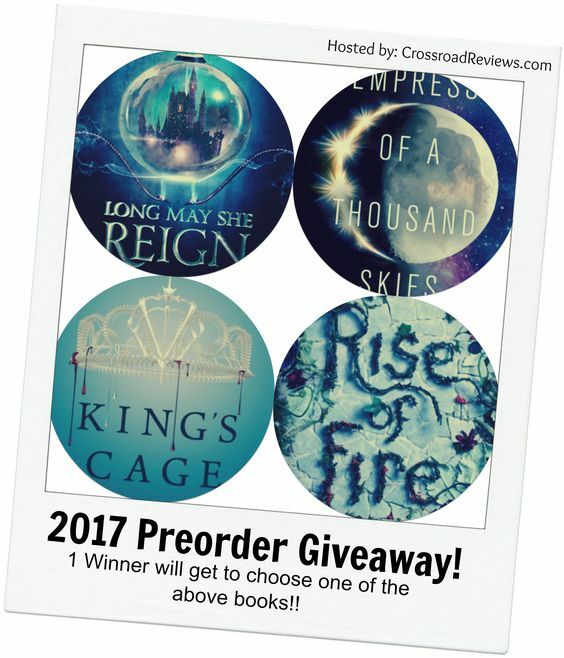 This month we have Long May She Reign by Rhiannon Thomas Empress of a Thousand Skies by Rhoda Belleza King's Cage by Victoria Aveyard Rise of Fire by Sophie Jordan We hope that you enjoy this giveaway!! Have a suggestion for the titles for March's Giveaway? Let us know in the comments! & Book Depository for those out of the US. The winner will be notified by email by the first week of Feb. The rafflecopter will show the winner's identity!